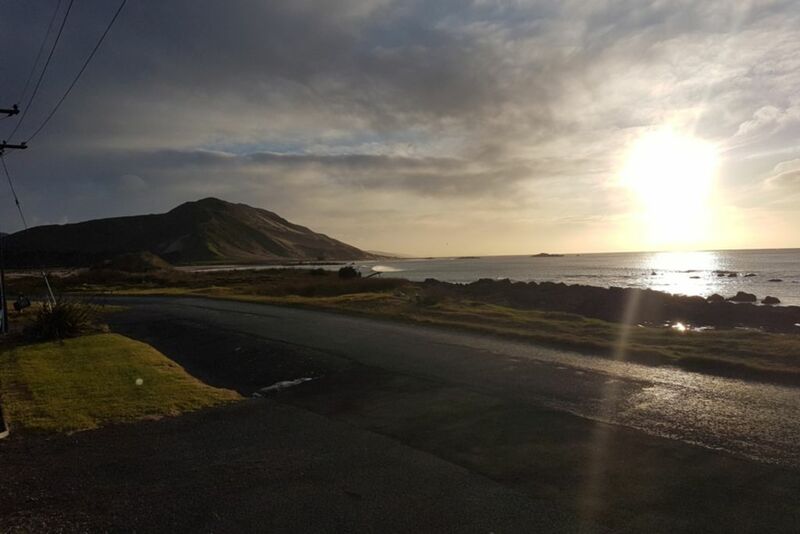 Walker's retreat is a great private bach sitting on the beach, this bach is off the grid but still has all the comforts of home with solar power and battery bank, the golf course and Whakataki pub are 15 minutes drive away. Have breakfast in the sun on the front deck over the sea and evening drinks to catch the last of the sun in the evening on the grass area out back. On chilly evenings the house is very cosy with under floor gas heating. Please take your rubbish with you there is no rubbish collection at this property. No 240 volt available at property, but heaps of USB outlets for charging phones and tablets. Wonderful bach and beautiful sea view. It's a bit remote, but we enjoyed the way to get there. Great place to stay. Thank you! Beautiful views and very relaxing. Very nice and neat Bach with everything we needed. Walkers are Very welcoming and helpful. This is the place to wind down. A rugged coast and ever changing seascape. Perfectly presented and well supplied accommodation just right for a couple. Beautiful holiday home with magnificent sea views. Peaceful spot to unwind. Enjoyed our stay. Perfect location. Modern & clean bach. Highly recommend. Fabulous hoiiday. Many thanks.